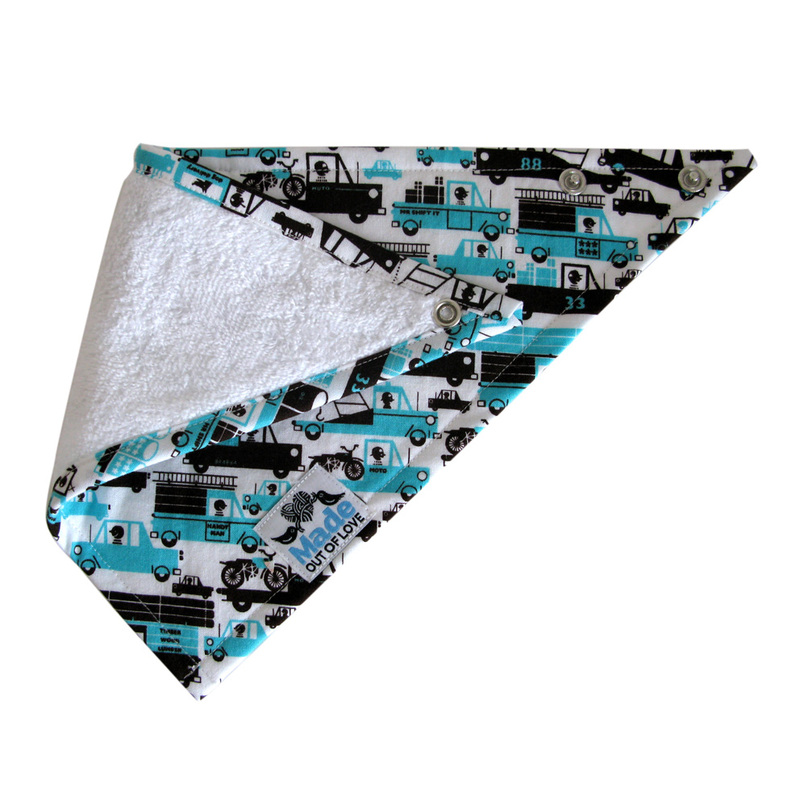 * Retro, cool boys truck & car fabric by Micheal Miller, 100% cotton with a bamboo/cotton mix backing. 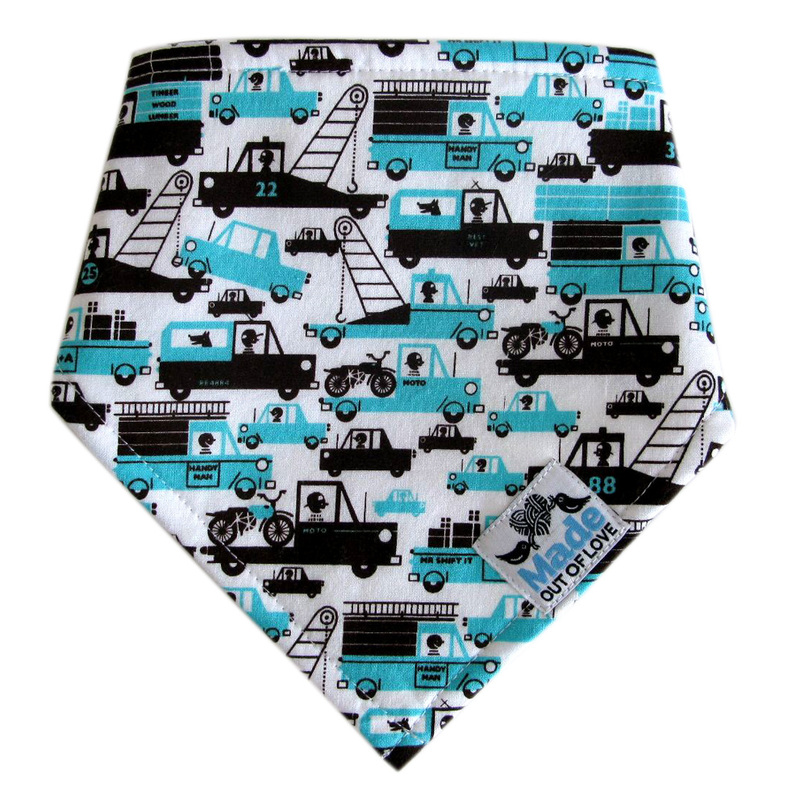 * Bamboo fabric is extremely soft and contains a natural anti-bacterial agent. 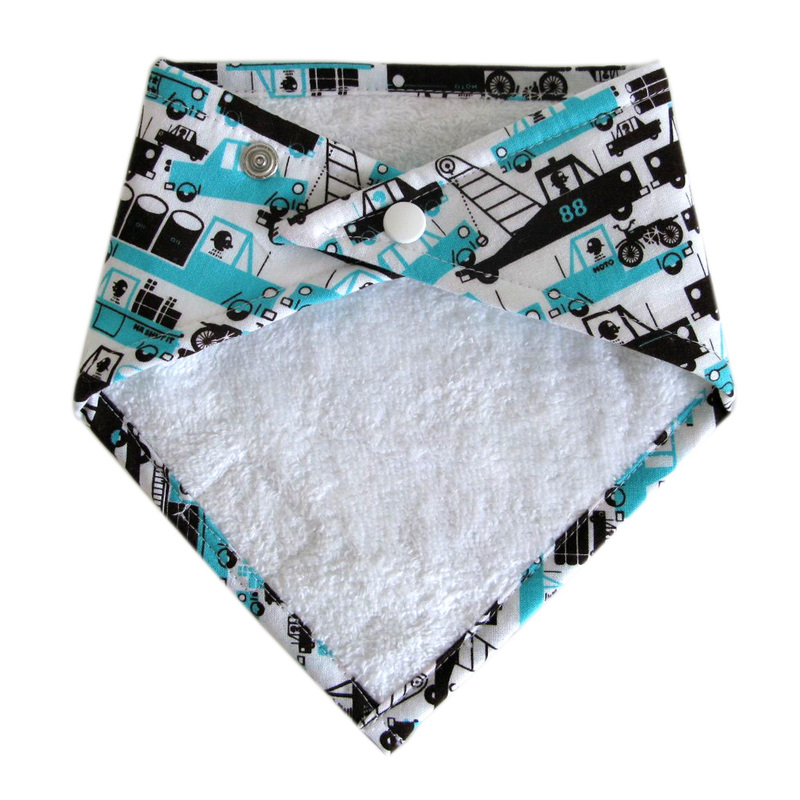 * Bamboo fabric absorbs water better than cotton which makes it a great fabric to use to soak up dribble! 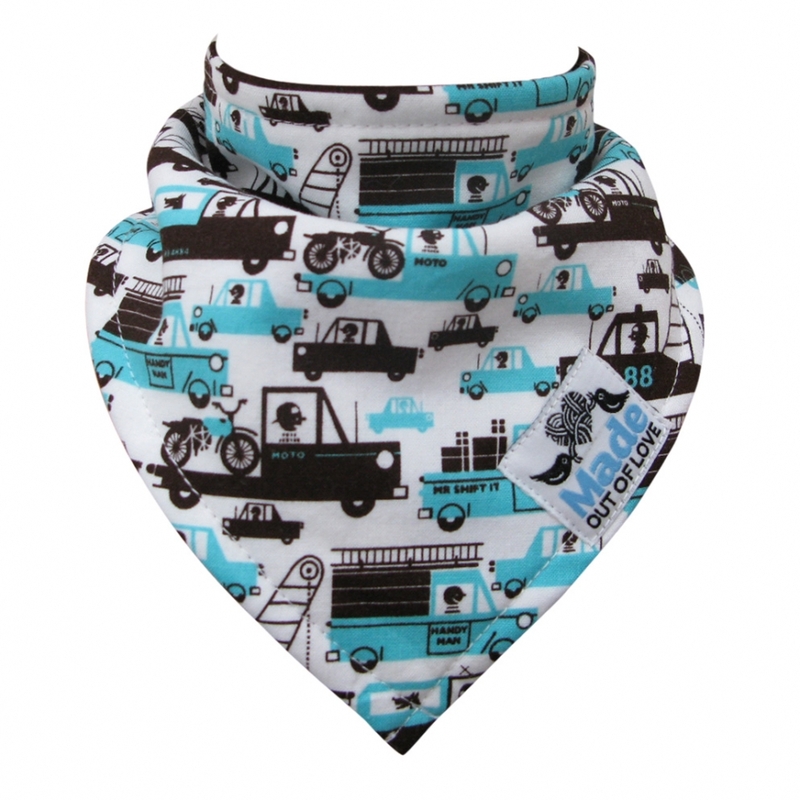 * The 2 adjustable press stud fastenings ensure a good fit around your child’s neck.